We had our first mini cold snap about a week ago where the temperatures dropped into the high 60’s and it was gray and cloudy. I couldn’t wait to take advantage of the weather and make a hearty, warming dinner. 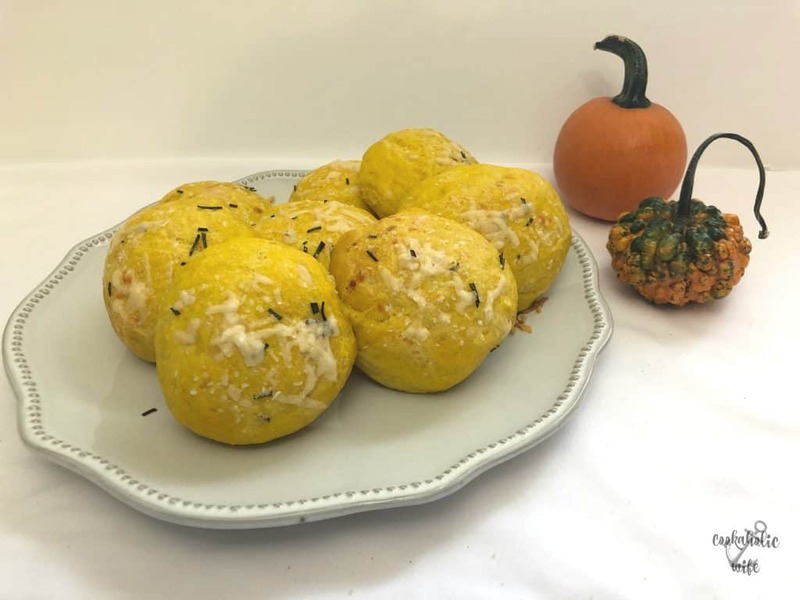 I made a beef and vegetable soup and these rosemary cheddar pumpkin rolls to go along with it. While I loved the soup, I ended up eating more dinner rolls than I did soup. I couldn’t get over the cheddar and pumpkin combination in these rolls. 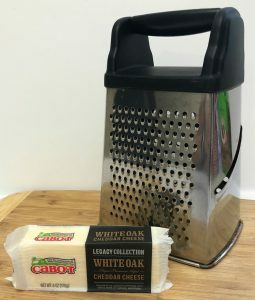 They’re absolutely delicious! 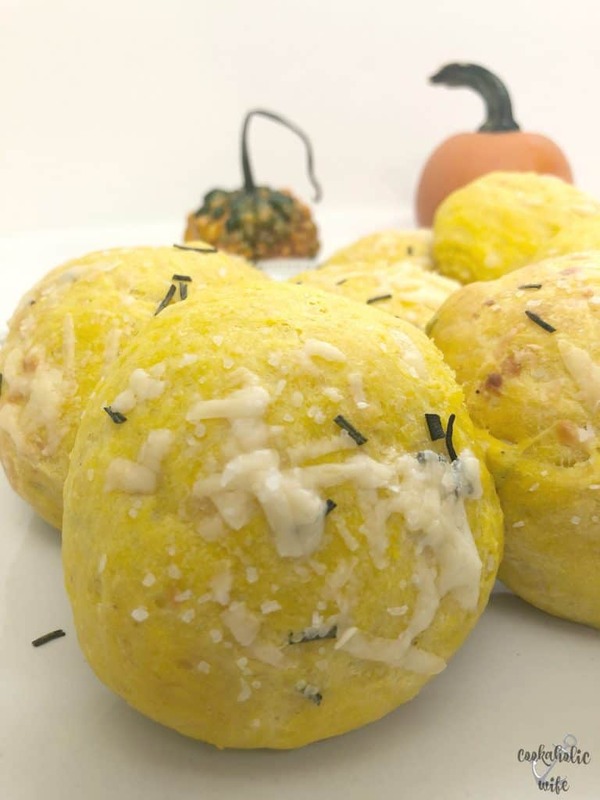 These soft dinner rolls are great for fall with the addition of canned pumpkin, sharp cheddar cheese and rosemary. Pour the lukewarm milk into the bowl of a stand mixer and then add the sugar. Stir until the sugar and salt until dissolved. Sprinkle the yeast on top and allow to sit for 3-5 minutes or until foamy. Add 2 tablespoons of the butter, the pumpkin puree, shredded cheese and half of the chopped rosemary. Add in 1 cup of the flour and mix with the dough hook. Add in flour one cup at a time until the dough pulls away from the side of the bowl and is tacky but not sticky to the touch. Roll out the dough onto a lightly floured surface and knead for 2-3 minutes or until the dough is soft and elastic. 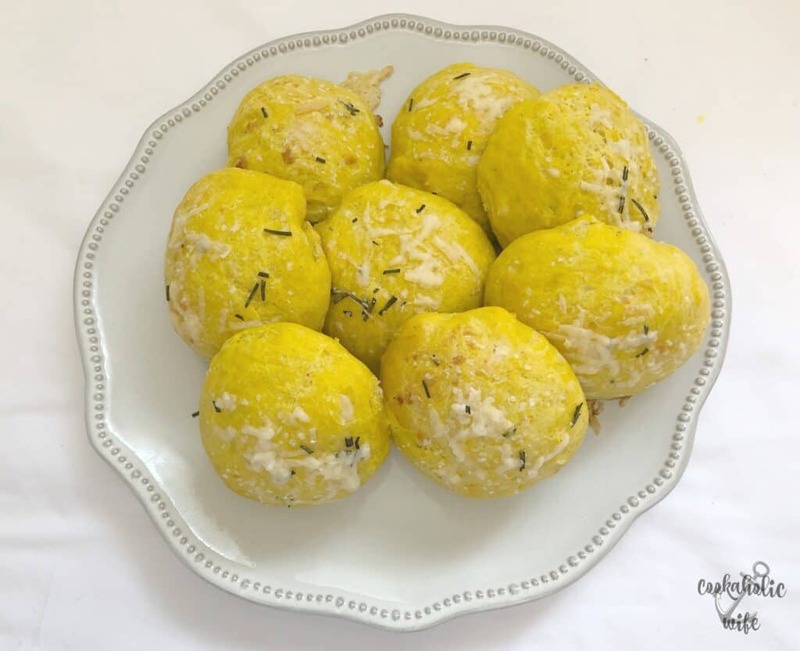 Coat a bowl with olive oil and place the dough in it, turning once to coat the dough. Cover with plastic wrap or a kitchen towel and set aside in a warm place to rise for 1 hour. Line a baking sheet with parchment paper. Punch down the dough and divide into 12 evenly sized pieces. Cover the dough with plastic wrap or a kitchen towel and let rise for 30 minutes. In a small bowl, add the melted butter and rosemary. Brush the mixture over the rolls and sprinkle with the shredded cheese and kosher salt. Love incorporating pumpkin into yeast bread. Great complement with the rosemary. 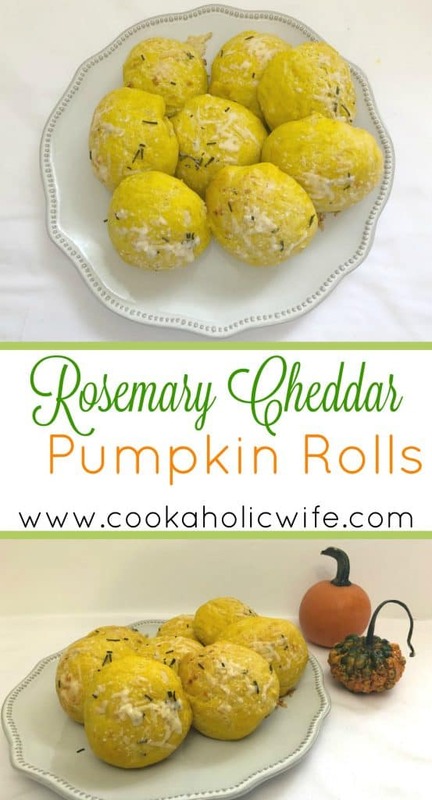 What a great combo of flavors- these would be fantastic to change up Thanksgiving rolls!